Freddie Sears scored his first goal since March 2008 as West Ham beat Wolves to climb out of the relegation zone for the first time this season. Robert Green made a string of saves to deny Wolves before Ronald Zubar's own goal - from Frederic Piquionne's cross - put the Hammers ahead. Matthew Upson's header was tipped on to the bar before Sylvain Ebanks-Blake hit the woodwork at the other end. Sears then rammed home Tal Ben Haim's cross to lift the hosts off the bottom. The defeat means Wolves replace West Ham at the foot of the Premier League table. That goal for Freddie Sears could be a huge boost for his confidence - he took the chance beautifully when it came. The home side's heroes in a frantic match were the exemplary Green and 21-year-old Sears, who had not scored since netting on his Hammers debut over two-and-a-half years ago. Industrious Wolves were left to rue several missed chances in a scintillating second half of a match where all the key moments seemed to go West Ham's way. The last time these two sides were involved in a relegation six-pointer, at Upton Park last March, Wolves ran out convincing 3-1 winners, prompting Hammers co-owner David Sullivan to openly criticise then-manager Gianfranco Zola. 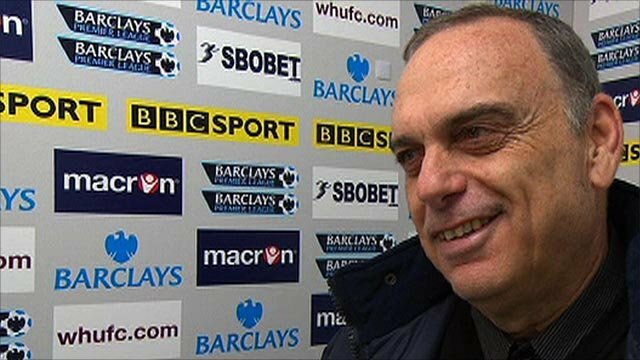 There will be no such indignity for current incumbent Avram Grant, who has been similarly under pressure, and the Israeli may have just done enough to be entrusted with Sullivan's January transfer budget after picking up eight points from four games in the Christmas period. Yet it was a nervy opening from Grant's side with Wolves almost benefiting from an early goalmouth scramble after the Hammers had failed to clear a corner. Ebanks-Blake then headed straight at Green from five yards after another Wolves set piece caused problems in the Hammers defence. But it was the hosts who created the game's first clear-cut chance on the half-hour mark when Scott Parker's through-ball made its way to Carlton Cole after George Elokobi's slip, only for the striker to scuff the ball wide from a few yards out. The improving Hammers went even closer to scoring shortly before the break when the impressive Sears' fierce close-range strike was brilliantly cleared off the line by Richard Stearman. After a tense and reasonably tepid first half, the second period began in blistering fashion with Wolves creating four chances to score in as many minutes. Green made three fine saves in quick succession, denying Christophe Berra, Stephen Ward and one of his own defenders with diving stops, before Nenad Milijas sent a free header just over the bar. Just after surviving the Wolves barrage, West Ham went ahead in the most fortunate of circumstances. Piquionne, possibly offside, raced clear on the right and set up Cole for an easy finish but the England striker completely missed the ball and it instead bounced in off the knee of unlucky defender Zubar. Cole's reaction, walking to the celebrating fans with a shrug of the shoulders and an embarrassed grin, said it all about the Hammers' good fortune. Still, the hosts set about taking full advantage and went in search of a second goal, with Upson's header from a Parker corner superbly tipped on to the bar by Hennessey. The Hammers were on top but Wolves came inches away from drawing level when Ebanks-Blake hammered substitute David Edwards' pinpoint cross against the bar. Once again, Wolves were punished for the missed opportunity as West Ham hit back with a goal on the counter-attack. Parker released Ben Haim on the right and the Israeli bided his time before cleverly picking out Sears, who swivelled and finished crisply past Hennessey to seal a win that propels the Hammers five places up the Premier League table to 15th. "It has been a very good Christmas, a good week for us. This is a massive win. "I felt before this run that we were very efficient. Now we are getting the wins we deserve so we're very happy. "There is a long way to go but I can tell you the spirit was always good, I am sure we will continue like we are." "We are two points from safety and as far as I am aware we are not getting relegated in the morning. 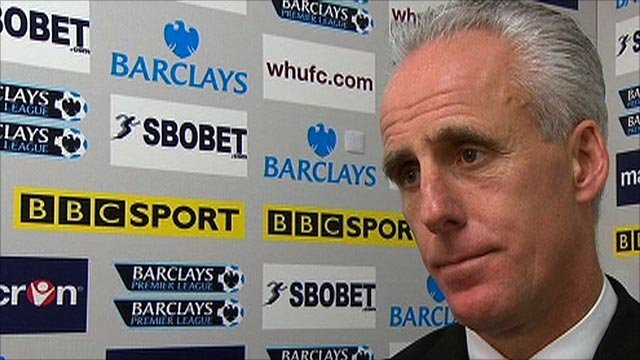 "We are scrapping away and we played well enough today, we should have equalised to be honest. "We have to just keep playing the way we have in the last two games without giving goals away." 89:35 Steven Fletcher handles the ball and concedes a free kick. Robert Green takes the direct free kick. 86:47 David Edwards concedes a free kick for a foul on Scott Parker. Robert Green takes the direct free kick. Correction - 86:02 Scott Parker handles the ball and concedes a free kick. Kevin Foley takes the free kick. Correction - 86:02 Substitution Marcus Bent joins the action as a substitute, replacing Nenad Milijas. 86:02 The referee penalises Scott Parker for handball. Kevin Foley takes the direct free kick. 86:02 Substitution Marcus Bent on for Nenad Milijas. Correction - 85:00 James Tomkins challenges Steven Fletcher unfairly and gives away a free kick. Direct strike on goal from the free kick comes in from Nenad Milijas. 85:00 James Tomkins gives away a free kick for an unfair challenge on Steven Fletcher. Nenad Milijas has a direct shot on goal from the free kick. 84:19 Corner taken right-footed by Matthew Jarvis to the near post, Scott Parker makes a clearance. 82:57 Scott Parker fouled by Nenad Milijas, the ref awards a free kick. Mark Noble delivers the ball from the free kick right-footed from right wing. 82:33 Outswinging corner taken from the left by-line by Mark Noble, Ronald Zubar manages to make a clearance. 80:54 The referee blows for offside against Frederic Piquionne. Wayne Hennessey restarts play with the free kick. 80:33 Free kick awarded for an unfair challenge on Matthew Upson by Steven Fletcher. Robert Green takes the free kick. 79:42 Booking Radoslav Kovac goes into the book. 78:43 Assist on the goal came from Tal Ben-Haim. 78:43 GOAL - Freddie Sears:West Ham 2 - 0 Wolverhampton Freddie Sears gets on the score sheet with a goal from inside the box to the bottom left corner of the goal. West Ham 2-0 Wolverhampton. 78:03 Matthew Upson gives away a free kick for an unfair challenge on Steven Fletcher. Free kick taken by Nenad Milijas. 77:36 Frederic Piquionne produces a right-footed shot from the edge of the box and misses to the right of the target. 76:07 Sylvan Ebanks-Blake takes a shot. 75:03 Free kick awarded for a foul by Matthew Jarvis on Radoslav Kovac. Free kick taken by Tal Ben-Haim. 75:03 Substitution (Wolverhampton) makes a substitution, with Steven Fletcher coming on for George Elokobi. 75:03 Substitution David Edwards replaces Stephen Hunt. 71:49 Corner taken by Matthew Jarvis from the left by-line played to the near post. 71:36 Matthew Jarvis takes a shot. Ronald Zubar gives away a free kick for an unfair challenge on Frederic Piquionne. Scott Parker takes the free kick. Robert Green makes a save. 70:47 Radoslav Kovac concedes a free kick for a foul on Nenad Milijas. Matthew Jarvis takes the direct free kick. 68:57 Substitution Junior Stanislas leaves the field to be replaced by Mark Noble. 67:09 The official flags Carlton Cole offside. Indirect free kick taken by Wayne Hennessey. 65:15 Carlton Cole challenges Christophe Berra unfairly and gives away a free kick. Wayne Hennessey takes the free kick. 64:44 Shot from just outside the area by Matthew Jarvis goes over the bar. 63:54 Nenad Milijas produces a left-footed shot from just outside the area that goes harmlessly over the target. 63:23 Inswinging corner taken by Matthew Jarvis from the left by-line. 61:52 Nenad Milijas gives away a free kick for an unfair challenge on Carlton Cole. Tal Ben-Haim takes the free kick. 60:12 Corner taken by Scott Parker from the right by-line, Matthew Upson takes a shot. Fantastic save by Wayne Hennessey. 57:45 Stephen Hunt gives away a free kick for an unfair challenge on Tal Ben-Haim. Direct free kick taken by Robert Green. 55:25 Unfair challenge on Scott Parker by Richard Stearman results in a free kick. Free kick taken by Tal Ben-Haim. 55:25 Booking Richard Stearman goes into the book. 53:59 Frederic Piquionne challenges Ronald Zubar unfairly and gives away a free kick. Free kick crossed right-footed by Matthew Jarvis, clearance made by Richard Stearman. 52:51 Carlton Cole takes a shot. Wayne Hennessey makes a save. 50:48 Frederic Piquionne provided the assist for the goal. 50:48 GOAL - Ronald Zubar:West Ham 1 - 0 Wolverhampton Ronald Zubar puts the ball into his own goal from 6 yards. West Ham 1-0 Wolverhampton. 48:57 Effort from 20 yards by Stephen Ward. Save by Robert Green. Close range headed effort by Nenad Milijas misses to the right of the target. 47:08 Sylvan Ebanks-Blake takes a shot. Matthew Upson gets a block in. Inswinging corner taken by Matthew Jarvis from the left by-line, Sylvan Ebanks-Blake takes a shot. Tal Ben-Haim manages to make a clearance. Christophe Berra takes a shot. Save made by Robert Green. 46:34 Unfair challenge on Tal Ben-Haim by Sylvan Ebanks-Blake results in a free kick. Robert Green restarts play with the free kick. 45:58 The assistant referee flags for offside against Carlton Cole. Free kick taken by Wayne Hennessey. 45:00+2:26 The half-time whistle blows. 45:00+1:08 Handball by Carlton Cole. Wayne Hennessey restarts play with the free kick. 45:00+0:10 Effort on goal by Nenad Milijas from long range goes harmlessly over the target. 43:48 Effort on goal by Carlton Cole from just inside the area clears the bar. 42:49 Free kick awarded for an unfair challenge on Frederic Piquionne by Christophe Berra. Radoslav Kovac takes the free kick. 40:29 Freddie Sears takes a shot. Wayne Hennessey makes a save. 40:08 Freddie Sears takes a shot. Clearance by Richard Stearman. 38:58 Inswinging corner taken by Matthew Jarvis, save by Robert Green. 34:35 Outswinging corner taken right-footed by Scott Parker from the right by-line, Sylvan Ebanks-Blake manages to make a clearance. 31:48 Free kick awarded for a foul by George Elokobi on Tal Ben-Haim. Direct free kick taken by Robert Green. 30:31 Foul by Sylvan Ebanks-Blake on James Tomkins, free kick awarded. Robert Green takes the free kick. 28:56 Effort from deep inside the area by Carlton Cole misses to the left of the target. 23:11 Shot from just outside the area by Daniel Gabbidon goes over the bar. 22:25 Freddie Sears takes a shot. Comfortable save by Wayne Hennessey. 21:13 The referee blows for offside. Wayne Hennessey restarts play with the free kick. 18:24 Inswinging corner taken from the right by-line by Stephen Hunt, Sylvan Ebanks-Blake takes a shot. Robert Green makes a comfortable save. 16:36 The referee blows for offside. Indirect free kick taken by Wayne Hennessey. 15:51 Foul by Christophe Berra on Carlton Cole, free kick awarded. Free kick taken by Junior Stanislas. 14:51 Carlton Cole challenges Christophe Berra unfairly and gives away a free kick. Free kick taken by Christophe Berra. 13:36 Stephen Ward takes a shot. Save by Robert Green. 13:13 Sylvan Ebanks-Blake fouled by Matthew Upson, the ref awards a free kick. Free kick taken by Stephen Hunt. 12:06 Inswinging corner taken from the left by-line by Matthew Jarvis, Robert Green makes a comfortable save. 10:50 Short corner worked by Scott Parker. 9:38 Frederic Piquionne produces a right-footed shot from just outside the box that misses to the right of the goal. 7:13 Inswinging corner taken from the left by-line by Matthew Jarvis, Stephen Ward takes a shot. Save by Robert Green. Correction - 5:53 Stephen Hunt takes a inswinging corner to the near post, Frederic Piquionne makes a clearance. Corner taken left-footed by Stephen Hunt from the right by-line, Sylvan Ebanks-Blake takes a shot. Blocked by Carlton Cole. 5:53 Inswinging corner taken left-footed by Stephen Hunt played to the near post, Frederic Piquionne makes a clearance. Inswinging corner taken by Stephen Hunt, Sylvan Ebanks-Blake takes a shot. Blocked by Carlton Cole. 3:04 Ronald Zubar challenges Scott Parker unfairly and gives away a free kick. Free kick taken by Scott Parker. 0:31 Corner taken right-footed by Scott Parker from the left by-line, Wayne Hennessey makes a save.